Now when I say "hard to read" I don't mean that the language made it difficult. I mean that the length of the book made it feel like it was going to take forever to get through. Reading it on my kindle also made it seem longer because I didn't have the pages to go by to gauge length. Sorry,Kindle, but percentages don't do it for me. 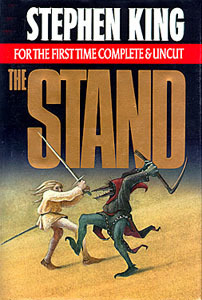 King has some other books that I liked but were so long I thought I'd never make it through them. 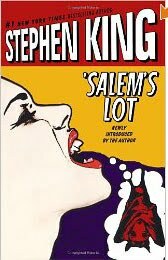 Salem's Lot was one and I'm still struggling to make it though 11/22/63. I think that when books are longer there tend to be parts that lull and get boring. It's usually during those parts that I put the book down and find it difficult to pick them back up again. Even if the book is good it's the long boring parts that make me want to quit reading. Anyone else have that problem? I feel like it can't just be me!